The Westmont CPAAA and Westmont First Committee have joined forces to work with local businesses and public agencies to provide blue ribbons and blue light bulbs that Westmont residents can pick up and display at their homes to show support for our Westmont Police Department. Beginning August 11, Westmont residents and businesses can pick up the ribbons and/or bulbs while supplies last from the following locations: the Westmont Park District (75 E. Richmond Street), the Westmont Chamber of Commerce & Westmont Special Events (Westmont Centre, 1 S. Cass), and the Westmont Paint and Decorating (6372 S. Cass Avenue). 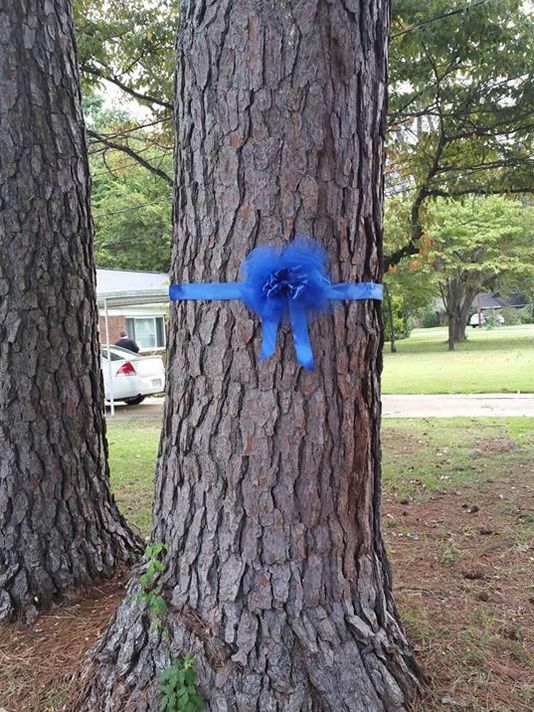 Westmont citizens will be permitted to put the ribbons on parkway trees and mailbox post from August 11 to September 11. The show of support for our Police and emergency services will culminate with the Village’s 15th Anniversary Remembrance of 9-11. Westmont’s 9-11 Ceremony will be held on Sept. 11, 1:30 p.m. at the Westmont Police-Fire Facility at 500 N. Cass. The guest speaker for the ceremony will be Phil Klein, former Superintendent of the Chicago Police Department, and a supporter of the Chicago Police Memorial Foundation. Klein will speak about the Memorial Foundation initiative and the importance of supporting officers killed in the line of duty. For more information about this program, please contact us at communications@westmont.il.gov or 630-417-0280.